We supply the following products for coil coating industry, heavy machinery industry, machinery industry and transport vehicle manufacturing industry. Several ranges of products are available according to Customers' special requirements, including primers, top coats, back coating, high yield products, specialties, etc. 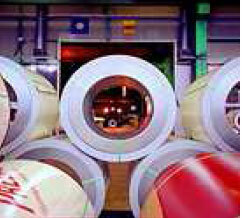 Insulating varnishes for FOR ELECTROMAGNETIC STEEL. 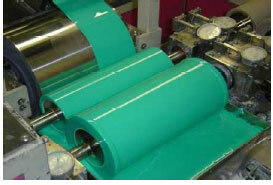 Paints for protection of off-shore platforms. Hi-tech paints, water borne or aolvent borne paints for railway networks. Painting cycles are available both for first application and for maintenance or rewamping for all parts and components of trains (i.e. outside bodyshell, inside, bogies, axles, etc) with traditional, hi-tech and specialties as intumescent, vibration damping, antigraffiti top-coats, gel coats, etc. Reference list of tenders is very long and includes many of the most important recent realizations in Europe. We offer products that are already used by European railway networks (TRENITALIA, SNCF, SBB, SNCB, etc.) and railway transportation vehicle manufacturers (i.e. ALSTOM, BOMBARDIER, SIEMENS, and VOSSLOH.